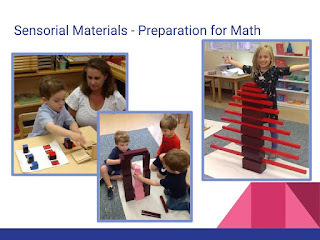 This week Westmont presented a workshop for parents called, "The Marvels of Montessori Math" in which I outlined the progression of our math curriculum. For those of you who could not attend, I thought I would outline the presentation, sharing the highlights of the math that takes place everyday in every classroom at Westmont. 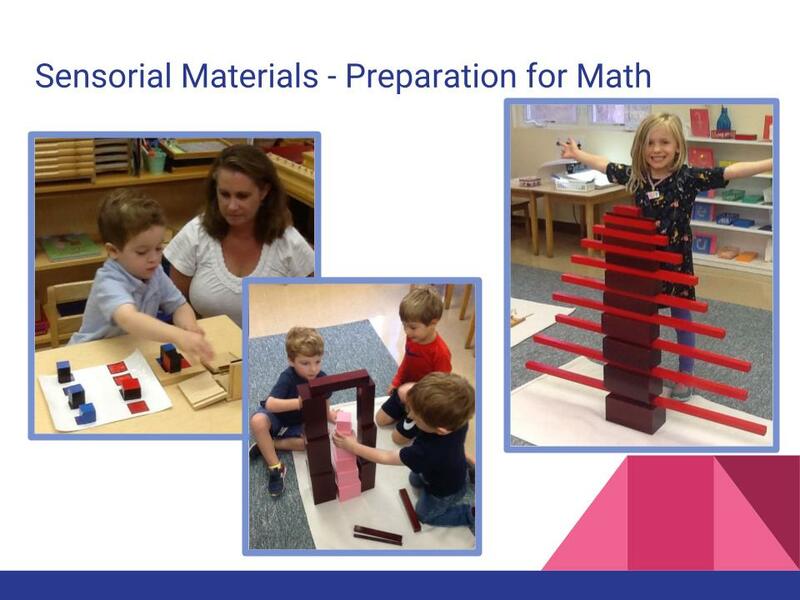 Math work begins (and continues) with the use of our Sensorial materials. These materials, many of them in sets of 10 (the base of our numbering system) and in heights, widths, and weights increasing in perfect mathematical symmetry, help the child to build discriminatory abilities. When you think about both math and reading, a keen awareness of subtle difference if very important if you are going to be able to tell the difference between an S and a 5. 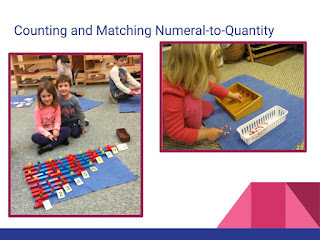 Preschool children are often taught to count, but the important skill for math preparation is being able to understand that a numeric symbol represents a given quantity. 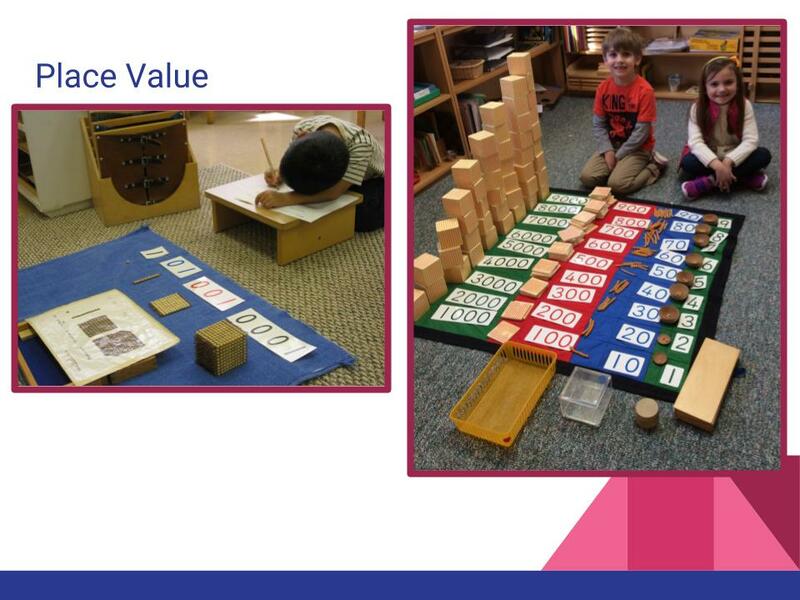 We have numerous materials in our classes for children to practice counting and sorting numbers and matching them to their numeral. 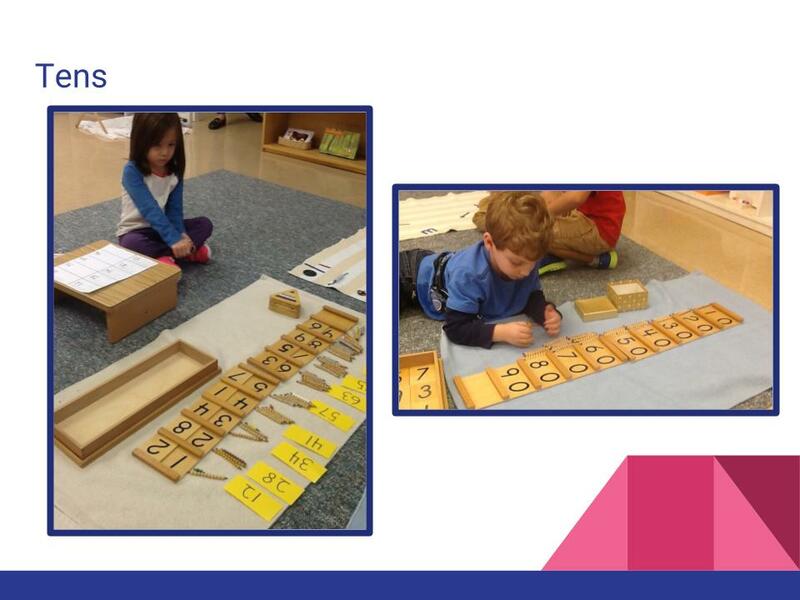 Once children have a solid understanding of the numbers and quantities 0-9, they have concrete manipulatives to learn numbers in the teens. This concept, requiring the understanding of ten and unit place value, is easily taught using materials that are already familiar with the children. 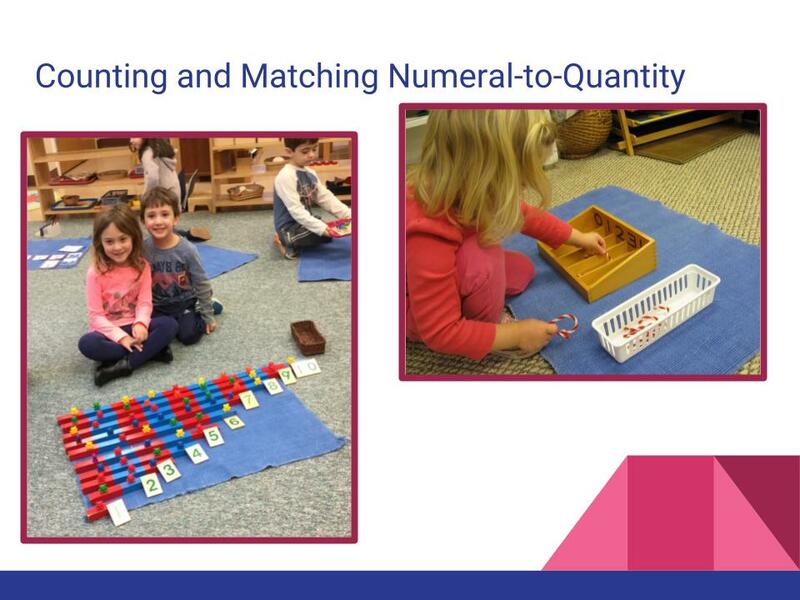 Learning numbers 10-99 is also done with manipulatives, allowing the children to "fetch" different quantities with beads and building their numeral to match. One of the more difficult tasks when learning to count larger numbers is the decade transitions, counting to 100 and remembering which number comes after 59 is a challenging task for a preschooler or kindergarten student. Our materials for that process include the 100 board where children can not only lay out numbered tiles in order from 1-100, but they can learn about patterns in numbers by laying out only the 10's, the 5's or even the 3's. Discovering the patterns these numbers create of the 100 board can be an exciting task! Getting the first lesson on the Bead Chains is a rite of passage in the Early Childhood classes! The bead chains are linked together bars of the squares or cubes of a given number. For example, the "Short 5 Chain" contains 5 bead bars of 5 beads each, for a total of 25 beads. 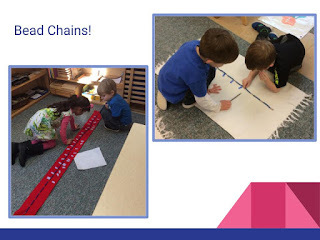 The children will use this chain to count and at the end of each bar of 5, they will find and place the preprinted ticket with that numeral on it - When finished, finding 5, 10, 15, 20, 25. 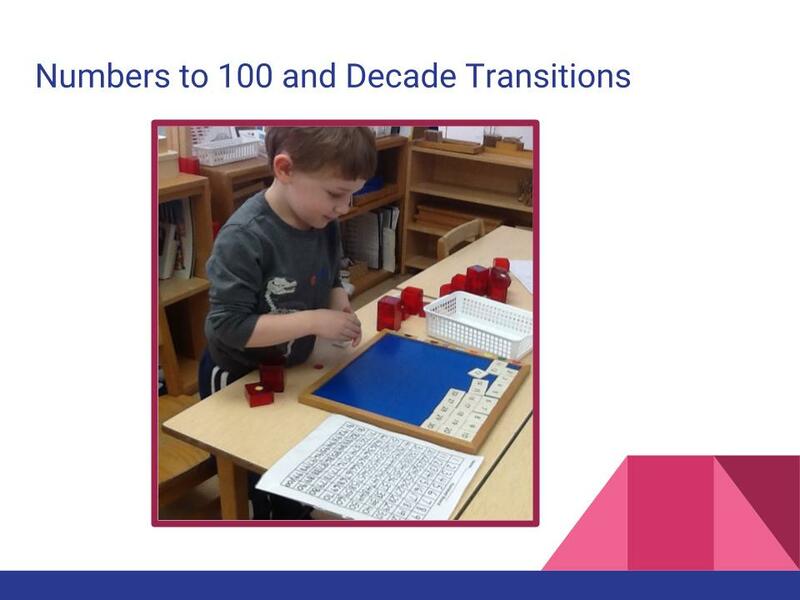 The amazing this about this activity is the ability for the child to begin counting again at the number where he last left off. So if he last counted 15, then searched for the corresponding ticket, found it, and placed it at the 15th bead, then he would then need to start counting at 16 up to 20. This is a difficult concept to master and one that will serve the child well when adding numbers together. 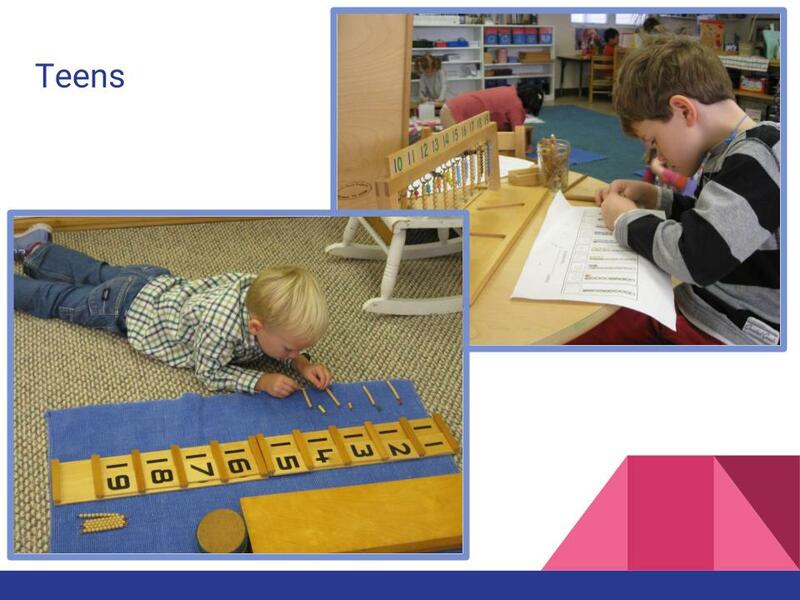 Not to mention that it's a great introduction to skip counting! One of the all-time-favorites in our Early Childhood classes is the Golden Bead Material used to create the Decimal Layout. With these manipulatives, a child can create the quantity and numeral for any number from 1-9999! 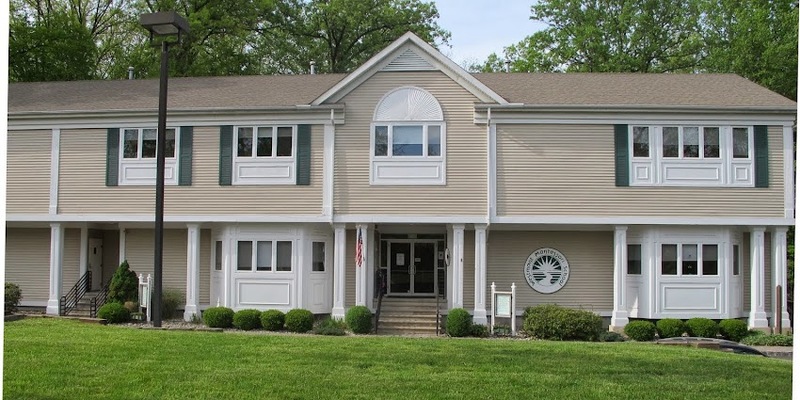 As we prepare for our Kindergarten Information Session we would like to share a video from The American Montessori Society which explains why The Kindergarten Year in a Montessori School completes an important cycle. Join us on Saturday January 20 (snow date January 27) for an up close and personal presentation on Westmont’s Kindergarten program. Meet alum students, alum parents and faculty as we guide you through an experience that you will not want your child to miss. Child care available at no charge. Just because the snowy season is underway it does not mean that outdoor fun has to stop. Although some days may be too cold for outside play, on days when bundling up is possible there are lots of fun things to do and explore outside, and the snow can make it that much more fun! Here are some great ideas to keep your young ones learning and developing during the snowy weather. Make a bird feeder and hang it near a window so you can watch the birds that visit in the warmth of your house. Use sand castle toys to play in the snow. Make a maze in the snow by walking in the shape of a path, pushing the snow down as you walk. Create a snow road for playing with cars on. Or use toy construction trucks to plow and move snow around. 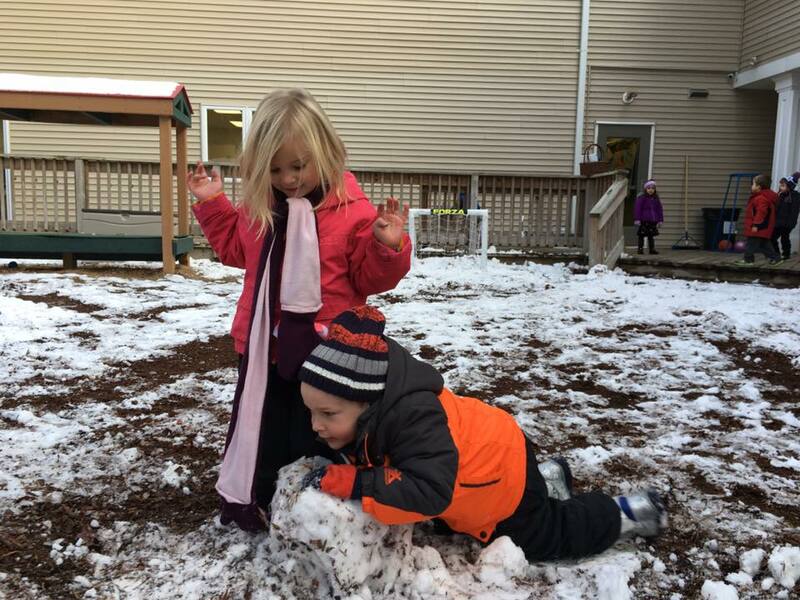 Bring a bucket of snow indoors to play with on a sand or water table or even in the bathtub. Don't stop with a snowman, build snow animals, too! Blow bubbles in cold air below 32 degrees and see what happens.